Amy Chater, Solicitor, considers the problems facing GPs and their patients as a result of the ongoing pressures of lack of time and resources, and when failures in treatment can lead to a negligence claim. It is an ongoing reported problem that our GPs have too much work, too little time and too little resources. However, these problems can have dire consequences as we have seen recently in the case of young William Mead who tragically died of septicaemia when his GP failed to recognise the signs and symptoms. It is a consequence that no GP would ever wish for but unfortunately, serious injury, and even fatalities, can occur when the job isn’t being done to an acceptable standard. As specialist clinical negligence solicitors my colleagues and I receive calls from clients every day complaining about care from their GP which resulted in injury or other avoidable consequences. Most commonly, in respect of GPs, the complaints are about failed or delayed diagnoses, despite numerous attendances on the GP. If a patient presents with particular symptoms which mandate the GP referring them for further investigations and they fail to do so until much later down the line, when it may be too late, then this may give rise to pursuing a claim. We are all well aware that GPs are under pressure but is it fair that we accept the resulting mistakes which affect patients’ health? It is not up to us as clinical negligence solicitors to dictate what standard of care GPs should be providing to their patients. 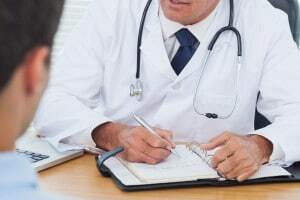 When advising clients, we are reliant on advice from independent experts who work as general practitioners (GPs) and are trained to advise on medico-legal issues. These experts are the ones who look at the facts of each case, taking into account the doctors written record of the consultation and also your own evidence of what happened, and advise us whether the care in question, provided by the GP, was to the appropriate standard or not. An appropriate standard of treatment is usually judged against whether it would be supported by a responsible body of peers (i.e. fellow GPs) at the relevant time. Broadly speaking, if the treatment was not to the appropriate standard then it was negligent. We will then look to work out what the result to the patient was of that negligent care, be it injury (physical or mental) or even death. Again we are reliant on specialist independent medico-legal experts to explain the medical ramifications resulting from the negligence, if any. After thorough investigations, if we can prove that the treatment provided by the GP was not to an appropriate standard and you have suffered avoidable injury as a result, a claim for compensation would be put to the GP’s insurer. We, as specialist clinical negligence solicitors, recognise that GPs are only human and can make mistakes when under pressure, but where a claim of negligence and loss is supported by our medical experts we will fight your case for you. If you are concerned that you might have suffered some harm as a result of something your GP did or didn’t do then please contact me or one of my colleagues. It is important to use a specialist clinical negligence solicitor to thoroughly investigate your claim properly, involving reliable and trustworthy medico-legal experts.